Wow, just wow. Who would have thought that the Topspin Cyber Blue would be such a nice string? I certainly never thought that I was going to find this gem of a string at such a great price ($8.50)! At first, I was a little hesitant to even try this string, mainly because I don’t associate the Topspin brand with the other strings that are popular on the market (i.e. 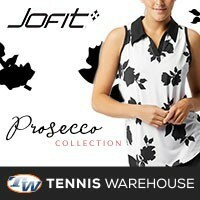 Babolat, Prince, Luxilon, etc.). Now that I have playtested this string for several hitting sessions, I’m going to have to review other strings from Topspin. I did have a little trouble stringing the Topspin Cyber Blue string, because it is a firm poly. So the coils held a little tighter than normal. I was able to install the string in a timely manner as I was able to make up time when I reached the crosses. Weaving the Cyber Blue through the crosses was pretty smooth and effortless, and knotting off the ends was pretty standard and easy. When I actually got a chance to playtest the Cyber Blue, I was a little worried that I would not like the string partially because I strung it at a much lower tension of 48 pounds. I figured I would lose control and be sending the ball long with the additional “spring” from the lower tension. Much to my surprise, not only did I have more than enough control, I was able to hit the ball with even more power than I had initially expected! I was able to rip on the ball in virtually any direction I wanted…with an insane amount of pace! I thought for sure this was a fluke. I thought I was hitting the ball exceptionally well that first day. The Topspin Cyber Blue proved me wrong. On the second day, boy oh boy, the strings were twice as nice as the first day. 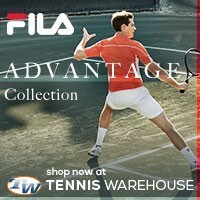 I was getting some sweet ball pocketing and exceptional touch on slower, at the net strokes. I honestly felt like I could not miss the court with the Cyber Blue in my racquet. The more I played with it, the more confident I felt in my groundstrokes; the strings did not feel the slightest bit stiff to me nor did my arm ever hurt. This is a solid polyester string for big hitters. On the third day of hitting, I did notice a sudden drop in tension and the strings began to move around after every ball I hit. This was about 6 hours of play with these strings, so I did expect a loss of playability, though I was still able to get decent pace, I was not nearly as precise when going down the line or cross court to the corners. The Topspin Cyber Blue did end up snapping on me, the main; I saw how deep the notches were, almost like they were all going to snap at the same time. Lots of power – more so on the groundstrokes than the serve. Excellent control – this is no natural gut, so it’s hard to be 100% precise with a poly, but this string is a close third. Spin – this is not a string for insane amounts of spin, but it does offer decent spin for those with sound groundstrokes and can create spin on their own. Nice and soft – this string is pretty soft for a poly. My arm is somewhat sensitive to stiff strings and I can easily feel the pain coming with certain tennis strings…did not feel any pain with this string. 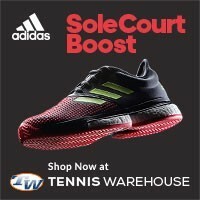 Price – if you are looking for a tennis string that offers a lot for a bargain, than this is a must try! At just over $8, this string is perfect for wallet conscious tennis players. String movement – when the strings get worn out it’s pretty apparent. String movement increased dramatically when the strings began to wear. Durability – I only got about 7 hours of play with this string before they snapped. I’m sure if I included this as part of a hybrid setup, I would get more time out of them but keep that they will break sooner rather than later. 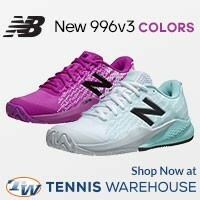 Color – If you don’t like tennis strings in colors other than white, natural, or black; then this is a string to avoid as it only comes in a blue shade – I’m personally a fan. All in all, this is definitely on the list of awesome tennis strings. 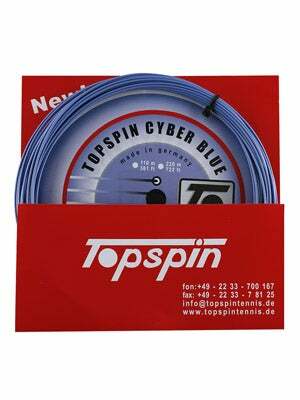 If you want some extra power and control without sacrificing your arm, then you have to try the Topspin Cyber Blue, as you can tell by my string review, I like it and I would use this string again.